Please Note: Any of these workshops or sessions can be customized to meet your needs. strengthening authenticity, problem solving, risk taking, mindfulness, relaxation and a sense of wellbeing. In the right atmosphere creativity becomes a powerful tool to support personal growth. Aziza offers a safe context devoid of comparison or criticism. * 3.0 hour to full day workshops at your work place or offsite at Aziza's home studio or a rented studio space. Aziza will work with you to shape the specific needs for you and your situation. Price varies depending on time, location and number of participants. When kids and teens are given an opportunity to adventure into their own, unique creative territory, amazing things happen! Too frequently schools are missing opportunities to enrich students’ lives by supporting students innate ability to create. 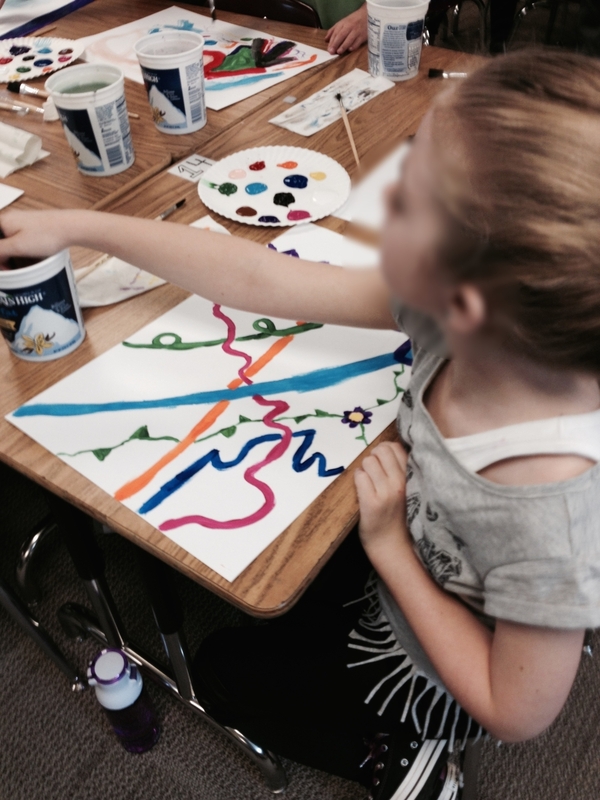 Paint to Discover in the classroom, whether in an art class or school classroom, can have a valuable impact on learning. Creativity becomes a powerful tool to support children and teens to grow into healthy, confident beings. Aziza guides participants towards their creative energy and intuition, encouraging freedom, awareness, play and expansion. She creates a safe, structured, and caring environment where risk taking, authenticity and play are encouraged and participant’s individual needs are respected. II. 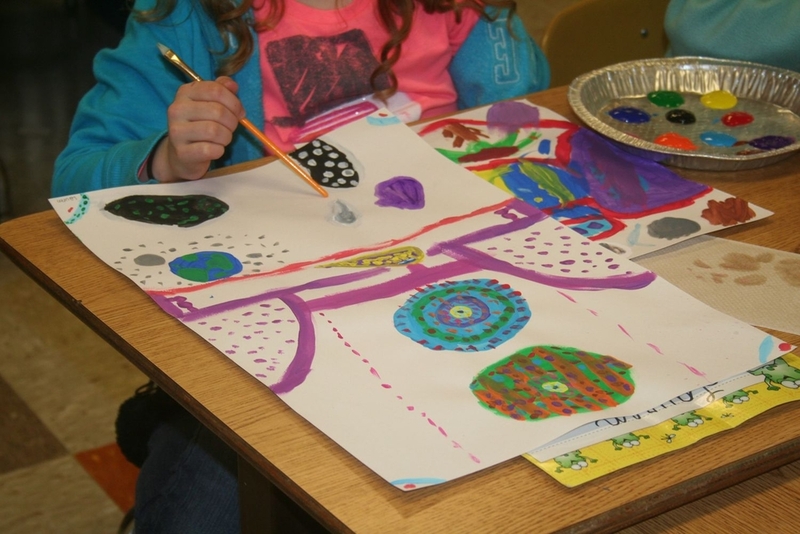 Weekly, hour long classroom Process Painting with children or teens (4 - 6 sessions); teacher participation required. $75.00 per hour with discount given for multiple classrooms in the same school, on the same day. Life is sustained through enthusiasm and the will to do. Both of these qualities can be accessed more easily through creativity than through most other activities, and they are instrumental in finding health, purpose, self-esteem and fulfillment. In an atmosphere of respect for each person’s creative process Aziza offers an experience that has the potential to bring both calm and joy. 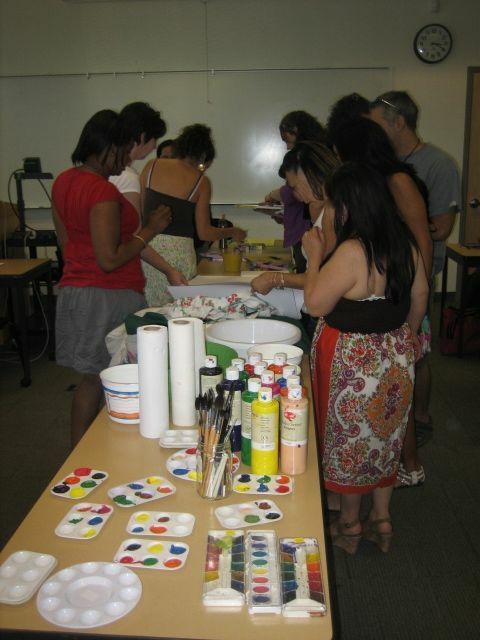 Using paints and other materials participants are guided to focus on the process of creativity: adventure, play, intuition and invention! 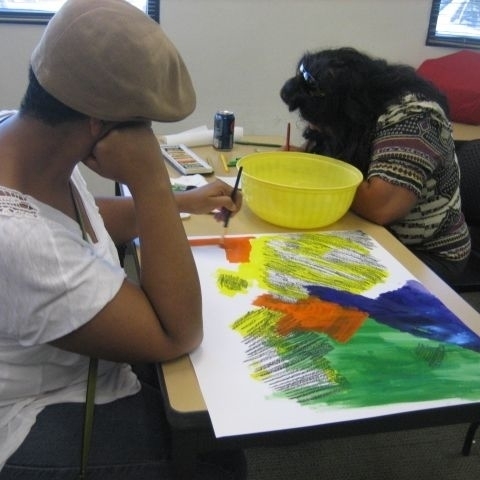 Participants experience healing through creativity as well as through social interaction, choice making, and the opportunity to both express and manage their emotions. * Both group and individual sessions are available. * Prices: $75-$120 per session, depending on number of participants and number of sessions.